Department of Defense ⌨*: The mission of the Department of Defense is to provide the military forces needed to deter war and to protect the security of our country. The department's headquarters is at the Pentagon. The Secretary of Defense is the principal defense policy advisor to the President. Under the direction of the President, the Secretary exercises authority, direction, and control over the Department of Defense. The Deputy Secretary, the second-highest ranking official in the DoD, is delegated full power and authority to act for the Secretary and to exercise the powers of the Secretary on any and all matters for which the Secretary is authorized to act. Defense Advanced Research Projects Agency: For more than fifty years, DARPA has held to a singular and enduring mission: to make pivotal investments in breakthrough technologies for national security. The genesis of that mission and of DARPA itself dates to the launch of Sputnik in 1957, and a commitment by the U.S. that, from that time forward, it would be the initiator and not the victim of strategic technological surprises. Working with innovators inside and outside of government, DARPA has repeatedly delivered on that mission, transforming revolutionary concepts and even seeming impossibilities into practical capabilities. The ultimate results have included not only game-changing military capabilities such as precision weapons and stealth technology, but also such icons of modern civilian society such as the Internet, automated voice recognition and language translation, and Global Positioning System receivers small enough to embed in myriad consumer devices. Defense Commissary Agency: Mission: Deliver a vital benefit of the military pay system that sells grocery items at significant savings while enhancing quality of life and readiness. Goals: Provide the military community with a great shopping experience; Sustain a capable, diverse and engaged civilian workforce; Be a model organization through agility and governance. Defense Contract Audit Agency: The DCAA provides audit and financial advisory services to Department of Defense (DoD) and other federal entities responsible for acquisition and contract administration. DCAA operates under the authority, direction, and control of the Under Secretary of Defense (Comptroller)/Chief Financial Officer. Defense Contract Management Agency: DoD component that works directly with Defense suppliers to help ensure that DoD, Federal, and allied government supplies and services are delivered on time, at projected cost, and meet all performance requirements. DCMA directly contributes to the military readiness of the United States and its allies, and helps preserve the nation's freedom. Defense Finance & Accounting Service: In 1991, the Secretary of Defense created the DFAS to standardize, consolidate, and improve accounting and financial functions throughout the DoD. The intent was to reduce the cost of the Department's finance and accounting operations while strengthening its financial management. DFAS pays all DoD military and civilian personnel, retirees and annuitants, as well as major DoD contractors and vendors. DFAS also supports customers outside the DoD in support of electronic government initiatives. Customers include the Executive Office of the President, the Department of Energy, the Department of Veterans Affairs, the Department of Health and Human Services and the Broadcasting Board of Governors. Defense Information Services Agency: Mission: DISA, a Combat Support Agency, provides, operates, and assures command and control, information sharing capabilities, and a globally accessible enterprise information infrastructure in direct support to joint warfighters, national level leaders, and other mission and coalition partners across the full spectrum of operations. Vision: Information superiority in defense of our Nation. Defense Intelligence Agency: DIA provides military intelligence to warfighters, defense policymakers and force planners in the Department of Defense and the Intelligence Community, in support of U.S. military planning and operations and weapon systems acquisition. They plan, manage, and execute intelligence operations during peacetime, crisis, and war. Defense Legal Services Agency / Office of the General Counsel: The General Counsel is the Director of DLSA, a DoD agency that provides legal advice and services for the Defense Agencies, DoD Field Activities, and other assigned organizations. Defense Logistics Agency: As America’s combat logistics support agency, the DLA provides the Army, Marine Corps, Navy, Air Force, other federal agencies and partner nation armed forces with a full spectrum of logistics, acquisition and technical services. DLA sources and provides nearly all of the consumable items America’s military forces need to operate – from food, fuel and energy to uniforms, medical supplies and construction material. DLA also supplies nearly 90% of the military’s spare parts, manages the reutilization of military equipment, provides catalogs and other logistics information products, and offers document automation and production services to a host of military and federal agencies. Defense POW/MIA Accounting Agency: Vision: A world-class workforce fulfills our nation’s obligation by maximizing the number of missing personnel accounted for while ensuring timely, accurate information is provided to their families. Mission: Provide the fullest possible accounting for our missing personnel to their families and the nation. Defense Security Cooperation Agency: DSCA is the Department’s lead agency for the execution of Security Cooperation programs. DSCA subject-matter expertise spans the gamut of Security Cooperation activities to include policy, financial, legal, legislative, programmatic, and weapons systems experts. specifically designed to address and expedite international partners’ urgent or emerging requirements or capability gaps. effective, transparent, and accountable defense institutions. ♦ International Education & Training: Academic and professional military education for partner countries at DoD Institutions. Defense Security Service: The DSS is an agency of the DoD located in Quantico, Virginia with field offices throughout the U.S. The Under Secretary of Defense for Intelligence provides authority, direction and control over DSS. DSS provides the military services, Defense Agencies, 30 federal agencies and approximately 13,500 cleared contractor facilities with security support services. DSS contributes to national security by serving as an interface between the government and cleared industry. DSS administers and implements the defense portion of the National Industrial Security Program pursuant to Executive Order 12829. DSS Industrial Security personnel provide oversight and assistance to cleared contractor facilities and assist management and Facility Security Officers in ensuring the protection of U.S. and foreign classified information. DSS also facilitates classified shipments between the United States and foreign countries and implements foreign ownership, control and influence countermeasures. Defense Threat Reduction Agency: DTRA focus is to keep WMD out of the hands of terrorists and other enemies by locking down, monitoring, and destroying weapons and weapons related materials. DTRA also assistS Combatant Commanders with their plans and responses to WMD events and develop and deliver cutting-edge technologies to assist with all of these endeavors. Defense Health Agency: DHA is a joint, integrated Combat Support Agency that enables the Army, Navy, and Air Force medical services to provide a medically ready force and ready medical force to Combatant Commands in both peacetime and wartime. The DHA supports the delivery of integrated, affordable, and high quality health services to MHS beneficiaries and is responsible for driving greater integration of clinical and business processes across the MHS. Missile Defense Agency: MDA is a research, development, and acquisition agency within the DoD. The workforce includes government civilians, military service members, and contractor personnel in multiple locations across the U.S. They are focused on retaining and recruiting a dedicated workforce interested in supporting our national security. The MDA mission is to develop, test, and field an integrated, layered, ballistic missile defense system (BMDS) to defend the U.S., its deployed forces, allies, and friends against all ranges of enemy ballistic missiles in all phases of flight. National Geospatial-Intelligence Agency: NGA delivers world-class geospatial intelligence that provides a decisive advantage to policymakers, warfighters, intelligence professionals and first responders. NGA enables all of these critical actions and shapes decisions that impact our world through the indispensable discipline of geospatial intelligence (GEOINT). NGA is a unique combination of intelligence agency and combat support agency. NGA enables the U.S. intelligence community and the DoD to fulfill the president’s national security priorities to protect the nation. National Reconnaissance Office: NRO is the U.S. Government agency in charge of designing, building, launching, and maintaining America’s intelligence satellites. Provides reconnaissance support to the Intelligence Community (IC) and Department of Defense (DoD). National Security Agency / Central Security Service: The NSA/CSS leads the U.S. Government in cryptology that encompasses both Signals Intelligence (SIGINT) and Information Assurance (IA) products and services, and enables Computer Network Operations (CNO) in order to gain a decision advantage for the Nation and our allies under all circumstances. Pentagon Force Protection Agency:PFPA is a civilian Defense Agency within the DoD charged with protecting and safeguarding the occupants, visitors, and infrastructure of the Pentagon, Mark Center, Defense Health Headquarters and other delegated Pentagon facilities. This critical mission is accomplished with law enforcement officers (U.S. Pentagon Police), criminal investigative and protective services agents; threat management agents; chemical, biological, radiological, nuclear and explosives technicians; and anti-terrorism/force protection and physical security personnel. PFPA provides a variety of services to its customers to include emergency services, parking management, lock installation/services, classified waste disposal, access control, building pass issuance, mail screening, and law enforcement. 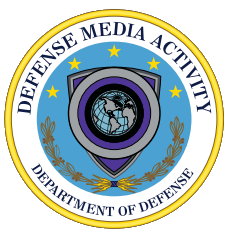 Defense Media Activity: DMA provides a broad range of high quality multimedia products and services to inform, educate, and entertain Department of Defense audiences around the world. 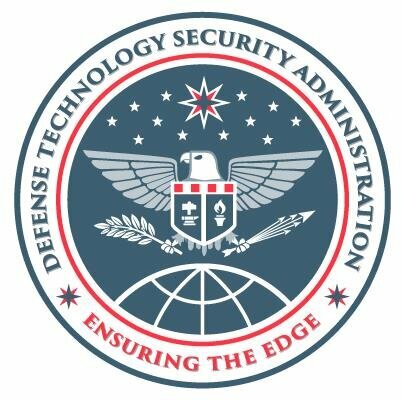 Defense Technology Security Administration: DTSA establishes DoD technology security policies related to international transfers of defense-related goods, services, and technologies. DTSA reviews and provides expert recommendations on foreign access to U.S. military technology or foreign purchases of American companies. DTSA also serves as a reviewing agency for the export licensing of dual-use commodities and munitions items and provides technical and policy assessments on export license applications. DoD Education Activity: DoDEA, as one of only two Federally-operated school systems, is responsible for planning, directing, coordinating, and managing prekindergarten through 12th grade educational programs on behalf of the DoD. DoDEA is globally positioned, operating 166 accredited schools in 8 districts located in 11 foreign countries, 7 states, Guam, and Puerto Rico. DoDEA employs approximately 15,000 employees who serve more than 72,000 children of active duty military and DoD civilian families. DoDEA is committed to ensuring that all school-aged children of military families are provided a world-class education that prepares them for postsecondary education and/or career success and to be leading contributors in their communities as well as in our 21st century globalized society. DoD Test Resource Management Center / Developmental Test & Evaluation: TMRC focuses on improving DT&E planning and execution, building the professional workforce, maintaining state-of-the-art T&E facilities, and providing data-driven support to the DoD Components. The DT&E team is dedicated to improving acquisition outcomes and advocacy of the T&E Workforce. They accomplish this through program engagement, across the warfighting domains to assist program and test managers in developing efficient and executable test strategies; and by ensuring the Department recruits and retains a skilled T&E workforce supported by professional education, training, and certification. The TRMC team is dedicated to ensuring the Components have the right T&E Infrastructure to accomplish the T&E mission. Office of Economic Adjustment: OEA is the Department of Defense’s field organization responsible for supporting state and local government's response to defense program changes, such as base closures, base restructuring or realignment, growth issues surrounding compatible land and air use for military base and community, and other issues that can impact the economy of a region. Washington Headquarters Services: WHS supports agencies, organizations, and personnel in the National Capital Region working with administration, buildings, facilities, finances, information technology, human resources, security, and transportation. Joint Chiefs of Staff: JCS consists of the Chairman, the Vice Chairman, the Chief of Staff of the Army, the Chief of Naval Operations, the Chief of Staff of the Air Force, the Commandant of the Marine Corps and the Chief of the National Guard Bureau. Responsibilities as members of the Joint Chiefs of Staff take precedence over duties as the Chiefs of Military Services. The Chairman of the Joint Chiefs of Staff is the principal military adviser to the President, Secretary of Defense, and the National Security Council (NSC), however, all JCS members are by law military advisers, and they may respond to a request or voluntarily submit, through the Chairman, advice or opinions to the President, the Secretary of Defense, or NSC. conduct of prompt and sustained combat operations on land. ♦ Accomplishing missions assigned by the President, Secretary of Defense and combatant commanders, and Transforming for the future. The Army, as one of the three military departments (Army, Navy and Air Force) reporting to the DoD, is composed of two distinct and equally important components: the active component and the reserve components. The reserve components are the United States Army Reserve and the Army National Guard. Country Studies/Area Handbook Series: Oline versions of books previously published in hard copy by the Federal Research Division of the Library of Congress as part of the Country Studies/Area Handbook Series sponsored by the U.S. Department of the Army between 1986 and 1998. Each study offers a comprehensive description and analysis of the country or region's historical setting, geography, society, economy, political system, and foreign policy. U.S. Navy: The mission of the Navy is to maintain, train and equip combat-ready Naval forces capable of winning wars, deterring aggression and maintaining freedom of the seas. U.S. Air Force: The mission of the U.S. Air Force is to fly, fight and win...in air, space and cyberspace. To achieve that mission, the Air Force has a vision: The U.S. Air Force will be a trusted and reliable joint partner with our sister services known for integrity in all of our activities, including supporting the joint mission first and foremost. We will provide compelling air, space, and cyber capabilities for use by the combatant commanders. We will excel as stewards of all Air Force resources in service to the American people, while providing precise and reliable Global Vigilance, Reach and Power for the nation. Unified Combatant Commands: The Unified Command Plan establishes the missions and geographic responsibilities among the combatant commanders. World Military Expenditures & Arms Transfers: Annual military expenditures, arms transfers, armed forces, selected economic data, and relative indicators consisting of pertinent military-economic ratios.